Thanksgiving is one of my favorite holidays. In the most generic terms, it revolves around family, gratitude, and eating, which pretty much sums up my favorite things in life. However, when it comes to sharing stories about Thanksgiving, it’s hard to find books that are historically accurate, especially considering the “First Thanksgiving” never happened as we know it. Not only is the Thanksgiving story many of us learned historically inaccurate, but also for Native Americans, it is a reminder of the betrayal, theft, genocide and discrimination the Native people faced, and struggles they still do face in this country. As a children’s librarian, I believe most of the children’s books on Thanksgiving are cringe-worthy awful and focus on the perpetuated myth of pilgrims and Native Americans sitting down for a meal, becoming friends, and living happily ever after. However, that is not what happened, and as such for Native Americans, Thanksgiving is often considered a day of mourning. Some treat it as a day of reflection and honor their heritage with education and activism. Many do use the day off to enjoy a meal with loved ones and practice gratitude for what they have. 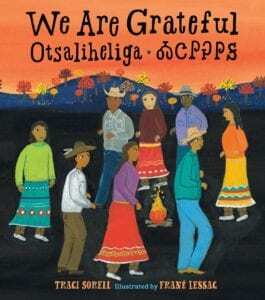 Gratitude is weaved into their culture and everyday life, so when we are not perpetuating the lies and harmful stereotypes, many Native Americans are pleased to have a day that does what they do regularly: give thanks for all they have. With the children I work with at the library and my own children at home, I prefer to focus on gratitude, inclusion, and kindness, as well as sharing positive information from Native Americans themselves that accurately reflect their culture, history, and continued strength in the face of adversity. We can’t erase what has been done, but we can learn in order to do better. 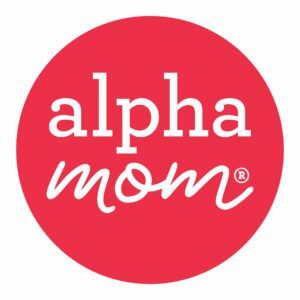 This begins with educating ourselves and sharing books and information that does not perpetuate inaccurate information and negative stereotypes. 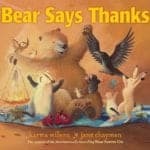 These are my favorite picture books that I feel capture the essence of being thankful and appreciative, are not just about the Thanksgiving holiday. 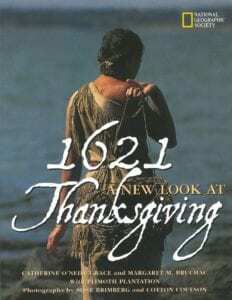 This post about Thanksgiving books for kids would not be complete without mentioning the only book that is universally recommended by Native Americans for being historically accurate and clearing up misinformation and stereotypes: 1621: A New Look at Thanksgiving (National Geographic by Catherine O’Neill Grace). 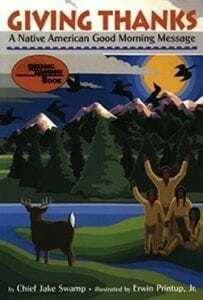 For more information on books to consider and books to avoid from the Native American perspective, I highly recommend starting with one of the most active voices on the subject, Debbie Reese, Ph.D., who created the website American Indians in Children’s Literature. Books are a launching pad to get a conversation started. I hope these books start some wonderful conversations in your family and, perhaps, some new traditions. 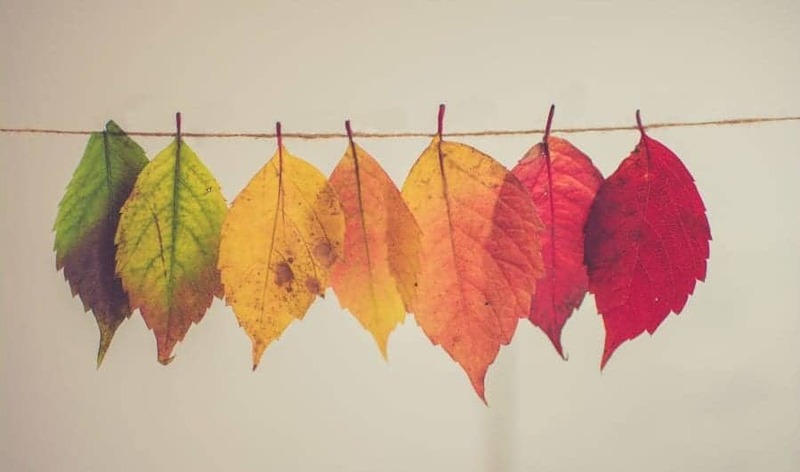 This is a perfect time to start traditions that incorporate gratitude, as well as ways that we can create a Thanksgiving that not just honors our land’s first people, but gives back and allows us to be true partners and allies, turning the myth of true friendship into reality. Robin Rockman is a mom to two tweens and a Youth Services Librarian in northern New Jersey. Glitter is her favorite craft medium and her talent is doing “Head, Shoulders, Knees, and Toes” at warp-speed. She believes books can help make the world a better place and that there is nothing more magical than a strong public library.